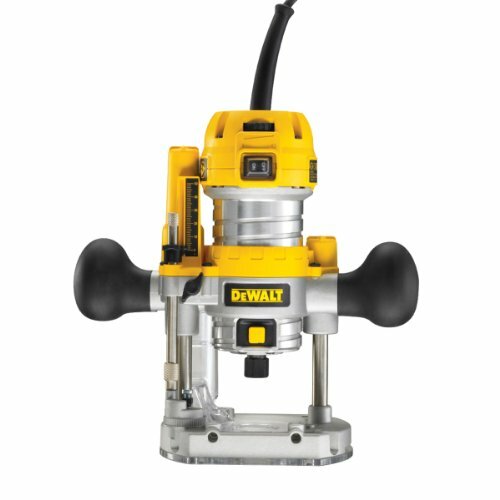 DeWalt D26203 1/4in 8mm Plunge Router Variable Speed 230 Volt DEWD26203The DeWalt D26203 is a 1/4 inch (8mm) variable speed router with full wave electronic speed control with feedback which ensures the selected speed is maintained under any load for a consistent finish in all grades of timber, aluminium and plastics. 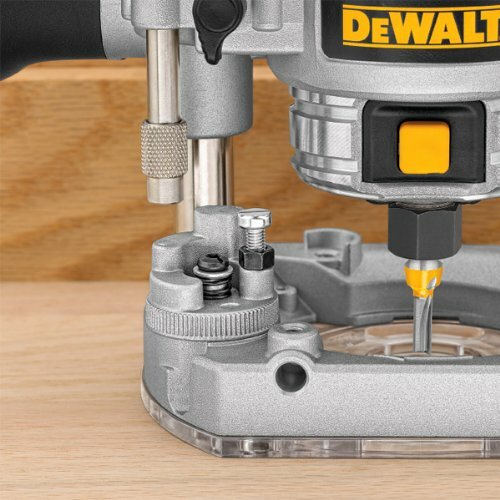 It has variable speed control (16,000 to 27,000/min) this enables router bit to be optimised for application. The compact, light weight design that increase ease of use and user comfort and the plunge base incorporates fine tune rod for precise depth adjustment. The five position adjustable turret enables stepped or repeated plunge cuts with the over moulded rubber handles provide a comfortable and secure grip. 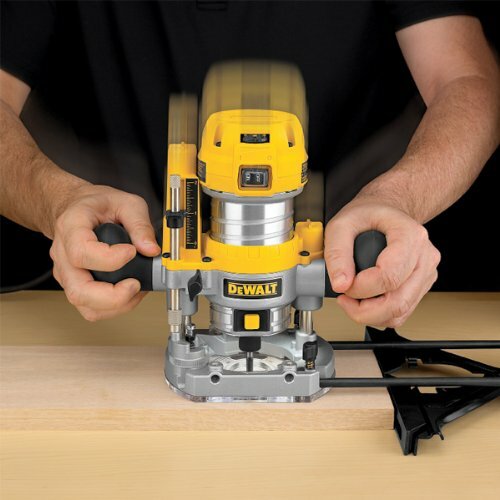 The dual LED lights increase the visibility around the router bit during operation and the multiple spindle lock detants enables quick and simple router bit change.